A recent article in the Montreal Gazette titled “The rise and fall of the minimalist running shoe: After initially racing off the shelves, sales of the unusual design have hit the wall” touts that minimalist shoes are on their way out. This is not exactly true. 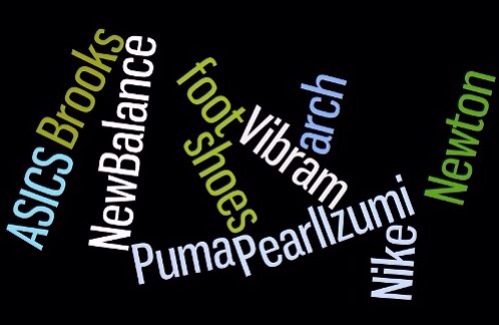 In fact, minimalist shoes have actually changed the way we are looking at foot injuries and running injuries. It’s not about the shoe anymore. We have now put more focus on running form and training patterns than ever, and the shoe companies have recognized this as demonstrated by the new lines of shoes offering less support and more flexibility and rearranged cushion placement. To dispel a few of the myths of the article here are my responses. In the U.S. of $400 million in 2012. A 30 per cent increase in the market from 2011 to 2012, dropped to a meagre three per cent by the end of 2012, followed by a 13 per cent decline in sales in the first quarter of 2013. That drop in popularity may be due to the inability of runners to get used to a cushionless shoe stripped of its technical features or it could be due to the growing amount of evidence suggesting that the benefits of barefoot running and minimalist shoes have been greatly overstated. Or is it due to the fact that shoes no longer need to be changed every 300-500 miles because we put this myth to rest by getting runners off of their heels and learning to midfoot/forefoot strike. Also, consider that you are comparing an entire new line of shoes to the rest of the shoe industry. 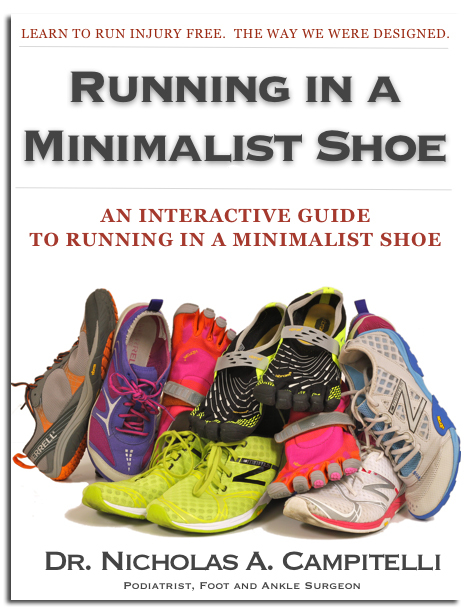 If the shoe companies stopped marketing and selling their traditional running shoes to only sale minimalist shoes, every single shoe company would collapse economically. You don’t need a degree in economics to figure this out. One of the latest studies to question the value of minimalist shoes was published in the August 2013 online version of PM&R (the scientific journal of the American Academy of Physical Medicine and Rehabilitation). Designed to detect whether running mechanics change when wearing minimalist shoes, study subjects switched from their traditional running shoes to Vibram FiveFingers and participated in a twoweek training program (six 20-minute sessions), where their running style was continually monitored. Interestingly, the majority of the subjects exhibited no change in running style after two weeks of running in minimalist footwear. Their stride didn’t shorten, impact stress didn’t decrease and biomechanics changed very little, a finding that has been replicated in several scientific journals in the past 12 to 18 months. Shoes will NOT change the way someone runs. They can allow you to run differently, but they will not in themselves fix your running form. Not to mention that this particular study only looked at 2 weeks of running. If we could fix someones form in 2 weeks by telling them to wear a pair of shoes, Boston Marathon qualifying times would decrease by 30 minutes!!! So far, there have been few data to prove or disprove the claims of this new hybrid shoe, be it an improvement in running mechanics, a change in foot strike or a reduced rate of injury. While this statement could be perceived as true, consider that it’s only over 12-18 months worth of studies. There is no evidence from the past 40 years that can demonstrate traditional supportive running shoes reduce injury or improve running. I think that’s more of a shocking statement if you ask me! Interview with Dr. Nick Campitelli. The Barefoot Advocate Talks Shoes, Running, and Foot Health. Running form and plantar fasciitis. Shoes can’t fix an injury. Smart Shoes: Is Apple Losing its Edge Without Steve Jobs? Are there any published studies showing this amazing change? I doubt it. There are. Actually in 1988 this particular study demonstrated that as cushioning is lost, foot control improves. J Orthop Sports Phys Ther. 1988;10(2):47-53. The purpose of the study was to assess the effects of repeated in vivo loading on shock attenuation and mediolateral stability of running shoes using ground reaction force data. Six healthy subjects were each given a new pair of running shoes and asked to run 140 km between each of four experimental sessions. Ground reaction force data were collected for 10 successful trials/session using an A.M.T.I. force platform system. The mean values for selected ground reaction force parameters were evaluated using a single subject repeated measures design based on a 95% confidence interval. Mean parameter group data were also evaluated. The results support previous findings that material properties of the systems evaluated deteriorated resulting in a loss of shock absorbing capabilities (7.3%) but the magnitudes of the losses were far less than previously reported results (23-40%). The reason for this discrepancy is presumed to be the result of the different loading and evaluation methods used in the present study. The results also suggest that these changes are not totally deleterious since foot control seems to improve as cushioning is lost and foot control accounts for at least half of running shoe related injuries. A further implication of these results is that the initial “feel” or performance characteristics of a shoe may be misleading since reasonable functional changes appear to occur during the initial 300-400 km of wear.J Orthop Sports Phys Ther 1988;10(2):47-53. Those earlier studies may not shed light on what’s happening now in the wake of the *reversion* to minimalist running shoes, but the disadvantages of cushioning were certainly well researched in the ’80s. Even illustrious biologists like McNeil Alexander were writing articles on the subject. He even suggested in one article that running shoe manufacturers should concentrate on developing sole materials that helped to return rather than absorb energy. Needless to say, it took until the last few years for them to actually start to do that. They know where the money is, and the marketing had already gone in a particular direction that it took the ‘barefoot’ movement to divert many years later. Interesting. I recently visited a running shop with my wife who had her gait analysed. On previous occasions she’s been shown to overpronate quite severely, with various people offering orthotics, super supportive shoes, etc. I persuaded her to try minimalist shoes for a couple of months and in this latest test her ankles hardly rolled at all, even in standard neutral cushioned shoes. I speculated that she’d developed better foot and ankle control by taking away the support. Sounds similar to the above (though it’s incredibly hard to make sense of an academic abstract in a discipline you’re not used to reading!). I did wonder how the author made the distinction in the stats (year-on-year percentage fall in sales) between the two phases of minimalist shoes mentioned in the in the article. From the discussion of how the ‘phase two’ shoes are some kind of hybrid between a ‘traditional’ running shoe (whatever that is – it should be remembered that the cushioned things we grew up with didn’t exist before the early ’70s) the author is probably only including things like the VFFs rather than the newer partially cushioned shoes. Unfortunately this isn’t clear. While there may be no studies (so far) investigating what proportion of runners are now landing on their fore/midfoot who previously landed on their heels, Dr Nick is right that the period of most of these studies really is too short to be broadly useful as a comparison for the ~50 years since the first cushioned trainer (early ’70s). The majority of the studies that have found evidence either way in this debate have been let down either by dodgy methodology (e.g., using treadmills (i.e., dynamic balancing on a moving object rather than true running), wearing weighted socks (which inhibit proprioception)) or missing obvious aspects such as the observation that foot strike tends to change with with increasing speed (coming further onto the toes with speed), and that soft substrates tend to promote heel striking in the same way as spongy running shoes do – the heel pushes through the substrate to find solidity. Ultimately, breaking the habit of a lifetime for many is simply not worth the effort and time away from the sport, and that’s fair enough. For others it will be, but while a built up heel and arch support DEFINITELY stop the foot (and the rest of the kinetic chain) from working in the way it evolved to, as Dr Nick says, removing those features from a shoe is insufficient to automatically ensure natural running form, especially if that form was never learned in the first place. thanks Nick. Read this piece on Mo Farah. took him a looooong time to iron out his form. 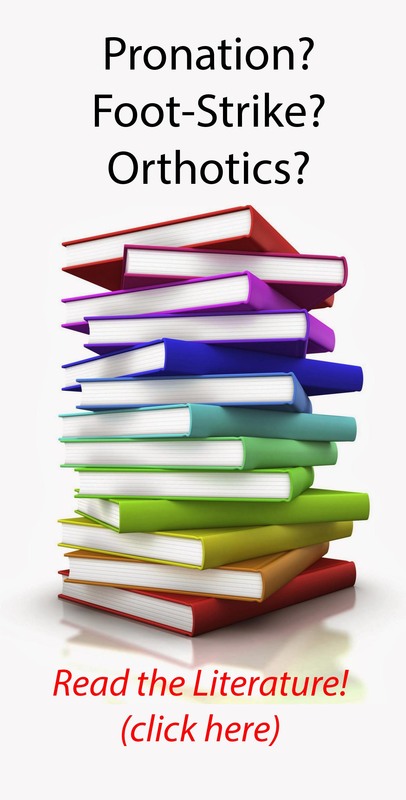 he article points out the essential principles. its not about the shoes. but with a strong foundation Mo can fly and you do not see him on the track with big bulky shoes. Do the supplemental strength and drills like Mo and you too can improve. 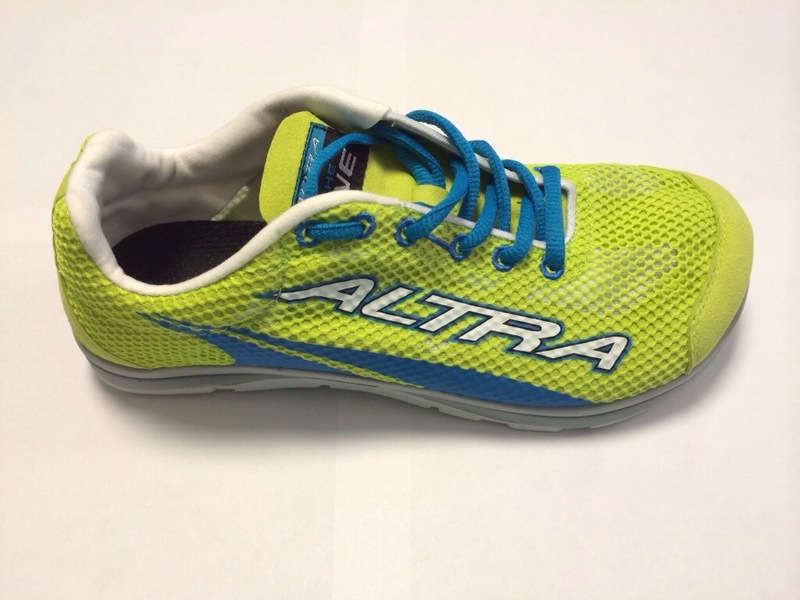 I left my well-cushioned running shoes to experiment with these minimalist running shoes. Over the course of the summer (when I ran less miles than ever before), I ran with little to no support under my feet. As a long time runner, I suddenly developed plantar fasciitis. I’ve switched back to wearing cushion shoes, but PF is slow to go away. I can’t help but detect that these minimalist shoes were the culprit… They are so comfy and light to run in, but my PF flares back up whenever I wear them.